"Pokey-man!? That's right, and it's still going strong today." Pokemon Red and Blue took the world by storm. Using a different colored cartridge to differentiate between the two games, Nintendo's clever marketing gimmick would prove to be successful as it required you to have one version and another person with the other version to work together to complete the game to the fullest. Pokemon Blue Version was released alongside Red Version simultaneously in an effort to rake in the dough. And it worked. Both versions are pretty much the same game, it's just that some Pokemon appear in one version and don't appear in the other, meaning you have to trade with a friend to get them all. Pokemon Red and Blue were such large successes that it would prompt Nintendo to bring the Pokemon franchise into every medium of entertainment. Movies, trading card games, plushies, Happy Meal toys, an anime, everything. You couldn't turn around without seeing some sort of Pokemon related ad. And here's why. Story: 10/10: The world has been long inhabited by small (although some of them reach huge sizes) animal-like creatures called "Pokemon" (Short for "Pocket Monsters"). Humans would become the dominant species of the planet, however, and began to figure out how to capture Pokemon and make them fight. Each Pokemon has it's own power, often related to the real-life animals that most of them represent. For instance, the turtle Pokemon, Squirtle has water attacks. Humans would capture these creatures and make them fight in an arena for their entertainment. Scientists in the modern day would figure out more effective ways of capturing the creatures, the most notable being Professor Oak, a Pokemon philanthropist and researcher. He invented the Poke-ball, which captures the Pokemon by storing it as energy. Oak's protege is the main character of he series, who wants to become a Pokemon master by capturing all 150 Pokemon and defeating the Elite Four (The four greatest Pokemon trainers in the world), all the while dodging his rival and the large criminal organization, Team Rocket. Team Rocket steals and coerces Pokemon into doing what they want, essentially committing animal abuse. 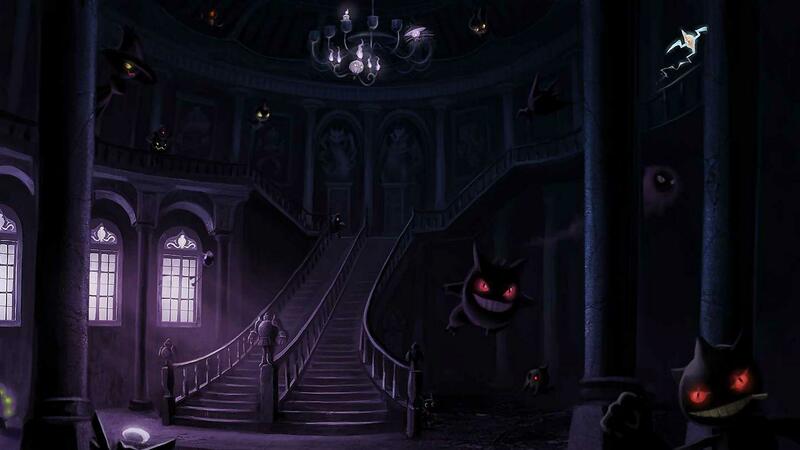 In addition to becoming the Pokemon master, you'll have to take down Team Rocket and whoever stands in your way. On the character's way to the Elite Four, he'll have to go up against other Pokemon trainers and the leaders of Pokemon gyms. There are eight gyms in total and your character will have to defeat all of them to gain access to Victory Road and the Elite Four. You'll be given badges by the gym leaders as proof of your victory. Upon obtaining all of them, you'll be granted access to Victory Road, a Pokemon rich cave environment that leads to the Elite Four. In addition there are four legendary Pokemon that can be found along the way that you can engage in a one-time battle with, and you'll have to capture them as well to fill up your Pokedex (a hand held encyclopedia of Pokemon) and become the world's Pokemon master. Gameplay: 10/10: The game takes place from a bird's-eye view as you traverse across the world map. While traveling you may find yourself in a pokemon-inhabited area such as caverns or tall grass, or even a body of water. Upon traveling through these areas you'll be thrusted into a random battle against one of the many or few pokemon that inhabit that area. The first pokemon in your roster gets priority, making that pokemon go first. You'll have four actions to select from in a turn-based battle system. "Fight" allows you to choose from that Pokemon's abilities and have them attack using said ability. "Item" allows you to select an item to use in battle such as a potion or a poke-ball. "Run" will allow you to flee the battle and "PKMN" will allow you to switch to a different Pokemon if you think the current one is incapable of taking down the enemy. Upon defeating or capturing a Pokemon, the Pokemon that fought in battle will gain experience points and eventually level up, eventually to the point of evolving into a stronger version of itself. Once in a battle, you can either defeat the Pokemon totally, or, if you want to capture the Pokemon, you must deplete their health bar to near-empty. Doing so will strengthen your chances of capturing a Pokemon if you throw a poke-ball. The Pokemon may or may not escape depending on how much they are weakened. If you put the Pokemon to sleep first and attempt to catch them, it will also increase your chances. There are stronger poke-balls than the standard variety and you may have to use the more powerful poke-balls to capture more powerful Pokemon, especially for the legendary Pokemon, where it's almost required that you use the second strongest poke-ball in the game to capture them. This can take several tries so don't get discouraged. Nintendo's clever profit-making scheme comes into play here, as all 150 Pokemon are not in each game. To acquire them all, you'll have to get a link cable and trade Pokemon with a friend or sibling who has the other version. Using the link cable, you can also do battle with a friend if you wish to see who's the better Pokemon Trainer. Not only did players have to sink money into the games but they'd also have to buy a link cable, lining Nintendo's pockets more. And let's face it, we ate it all up. We wanted every Pokemon and didn't care how we got them. And parents cared less and less about the cost as kids would just not stop nagging them. It was such a successful and profitable scheme for Nintendo that the tradition continues until this day. Graphics: 10/10: For 8-bit graphics, they're done very well. The animations that do occur are smooth and the game as a whole is very detailed, visually. To top if off, when playing on a Gameboy Color you can enter different button combination's at the "GAMEBOY" screen to add a different tint or color-style. This was a fairly cool feature as most Gameboy games at the time were in all black and white. The default color for Pokemon Blue Version gives most of the game a heavy blue tint. Again, you can play around with the different color styles and have fun with it if you so desire. The Pokemon are drawn and rendered very well as well. All in all, a great feat for a Gameboy game, though it should be noted that it was a very late game. Audio: 10/10: Pokemon Blue Version (as well as Red Version) offers a really catchy soundtrack. You may often find yourself humming the tunes to certain towns or even the battle theme. Also when say a Pokemon uses a fire move, it sounds like something is burning. Or when a water Pokemon uses a large water move, it sounds like waves crashing against a shore. The battle cries for the Pokemon are kind of a screech, but everything else makes up for it in spades. So much so that it's not even worth taking off half of a point. The Gameboy and Gameboy Color were limited and the developers did the best they could do with what they had. Overall: 10/10: Pokemon took the world by storm for a reason. It catered to players' and kids' compulsion to collect everything in sight, and Pokemon Red and Blue allowed them to do that without having to move much at all. It also caters to RPG fans with the leveling up and experience points system. With it's addictive gameplay and catchy soundtrack, if you like to collect things, this is the game for you. Go ahead and pick yourself up a copy, and hope that one of your friends still has their old copy sitting around somewhere so you can fully complete the game!